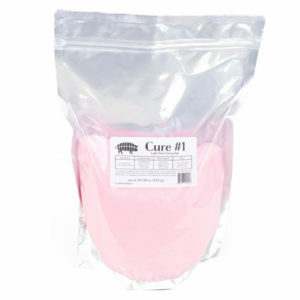 This product is used as a natural way to cure your products. Celery is juiced, then fermented to covert (reduce) some of the nitrate to nitrite. After the juice is fermented it is tumble dried, then it’s nitrite content is measured. 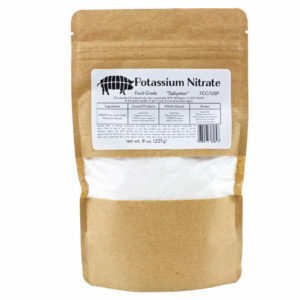 Once the nitrite content is found the powder is standardized by bulking with sea salt (much the same way cure is). This process is done after ever harvest, as the nitrite content varies from batch to batch, but will consistently be standardized to the same ppm for consistency. It does not impart a celery flavor to your product. 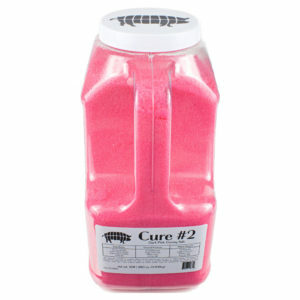 This is the industry standard for natural nitrite cures, and is used commercially by many famous Salumeria’ in the US. This 2 oz. 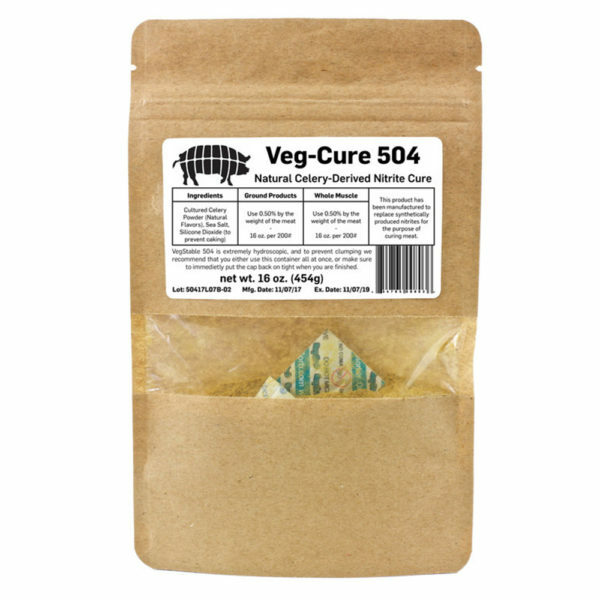 bag will cure 25# of meat. The ratio for use is for every 100#/45.36Kg of meat use 8oz./226g. 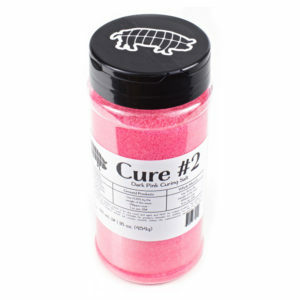 Good rule of thumb: synthetic cure use level at 0.25%, and with VegStable you require 0.50% by the weight of the meat to achieve similar results.